The word chiropractic means "done by hand". Chiropractic is based on a vitalistic philosophy, which recognizes simply, that life, and therefore health, is an expression of an inner wisdom -- an innate intelligence animating every cell within our genetic design. This wisdom is a part of that same intelligence which maintains the whole of the universe in orderly and harmonious existence. Deepak Chopra, M.D. elucidates this idea in Ageless Body, Timeless Mind: "Intelligence is present everywhere in our bodies ... our own inner intelligence is far superior to any we can try to substitute from the outside..." Innate intelligence is the essence of life itself. Chiropractors work with the spine, not necessarily because it's the source of neck and back pain, but because it houses and protects the central nervous system -- that system which monitors, controls and regulates all body function, allowing the body to adapt to it's environment, both internal and external. Biologists call this dynamic process homeostasis. This ability to adapt remains central to the body's ability to maintain its health and sustain life. Every vital life sustaining process, whether it's digesting our dinner or responding to potential infection, depends on the integrity of this communication network between the brain and the body. On September 18, 1895, in Davenport, Iowa, Daniel David Palmer, through a simple encounter with a deaf janitor, named Harvey Lillard, made a profound discovery. After correcting a misalignment in the janitor's spine his hearing was restored. Unknown to him at the time, he discovered a major source of interference to the nervous system -- the vertebral subluxation. He discovered that loss of normal vertebral alignment interfered with the body's regulatory mechanism, causing what he termed dis-ease or loss of ease, setting the stage for abnormal function and disease. The basic principles of chiropractic, as discovered in 1895, have not changed and continue to be the basis for chiropractic education today. Chiropractic: Just for Back Pain? Since the majority of visits to a chiropractor are for the care of back and neck pain, most people think of chiropractors as back doctors. And since most back and neck pain is caused by the presence of acute or chronic vertebral subluxations, chiropractic care has developed an enviable track record in the care of these patients. The scientific literature is replete with references to chiropractic's superiority in treating patients with back pain - and with unequaled patient satisfaction. (Manga et al, 1993; Stano & Smith, 1996; British Med J, 1990; Dabbs & Lauretti,1995; New Zealand Report, 1979; Shekelle & Adams, 1992; Braille, 1992). This public perception of chiropractors as primarily back doctors, continues to dictate utilization trends (by health care consumers), and even insurance coverage for chiropractic care. Chiropractors, happy with this incremental boost in public and scientific acceptance, have often failed in their responsibility to educate the public to the bigger idea and greater impact the vertebral subluxation complex has on health. Unfortunately, the results of pigeonholing chiropractic, and subsequent under utilization of care, is tragic. The majority of spinal subluxations are painless and can persist for many years without symptoms, while silently undermining the body's function and health in significant ways. I often tell my patients that they are lucky to have experienced back pain. Pain motivated them to have their spine examined, revealing dysfunction, which can have a significant impact on their entire health picture. The most common problems in early childhood can be linked to spinal dysfunction, originating from trauma related to the birth process, and early challenges of toddler hood. With every fall a youngster takes, the tiny neck which supports his bowling ball sized head, is impacted. The area in children that sustains the most subluxation related damage is the upper cervical spine. The integrity of this area of the spine is essential for proper function of the tissues of the ear, nose and throat (including the tonsils, adenoids, eustachian tubes, and mucous membranes.) Brain stem and vagal nerve involvement have long been suspected in babies with colic. The diaphragm, a muscular sling responsible for breathing, also receives innervation from the mid-cervical spine. This area of the spine has been under chiropractic scrutiny for years with its relationship to SIDS. Since the central nervous system is so vital, the body has wisely built in a system of protection. 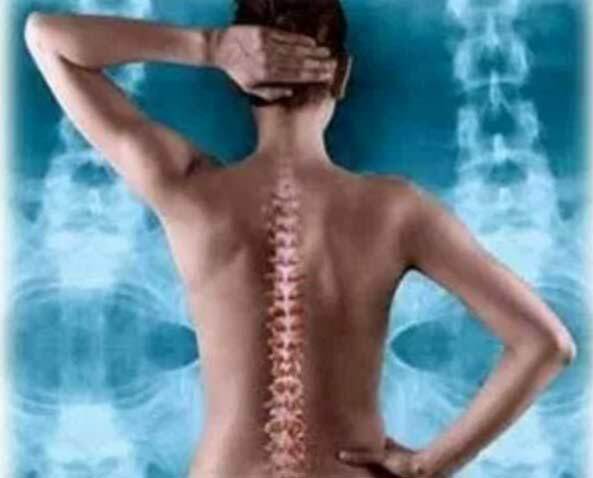 Around the brain we have the skull, or cranial vault, and around the spinal cord is a system of protection for the spine - 24 moveable segments which have the dual role of protecting the central nervous system and providing the axis for the entire musculo-skeletal system. The very thing that is designed to protect the spinal cord can actually interfere with it, due to misalignment of the spine, or vertebral subluxation. All subluxations are caused by stress that overwhelms the body's resilience and coping ability. Physical stress can occur as the result of a car accident or slipping on an icy sidewalk, improper posture, occupational trauma, or birth trauma. Emotional stress can be the result of significant emotional trauma or the inability to adapt to a stressful situation. Chemical trauma can result from the use of prescription or illicit drugs, inadequate nutrition, or environmental toxins. By interfering with the central nervous system, vertebral subluxations interfere with normal function, reducing your body's ability to self-regulate, adapt, and heal. Health, then, is truly an inside-out phenomenon. Most therapeutic interventions are designed to speed up or slow down function. The chiropractic goal is to normalize function. By correcting vertebral subluxations, the chiropractor removes a significant impediment to nature's inborn ability to heal. Specific spinal adjustments are the hallmark of chiropractic care. An adjustment is a gentle force introduced into the spine intended to release a vertebral segment from its abnormal motion and/or position thereby reducing the vertebral subluxation. The adjustment can consist of a light comfortable dynamic thrust, as in Diversified technique, to several ounces of sustained pressure, as found with the Toftness system. There are more than 20 adjusting systems utilized in chiropractic today. Each system has a specific adjusting rationale to restore the spine to normal function. This reduces the negative neurological impact, and returns the body to more normal efficiency. Spinal adjustments, regardless of which system is utilized, are tailored to the patient's age and spinal condition. Chiropractic analysis utilizes x-ray examination for visual assessment of the subluxated spine, to detect any possible contraindications to spinal adjustments, and to rule out bone disease or spinal pathologies. Other technologies used in subluxation detection include heat measuring, or thermographic, instruments. Since blood flow and subsequent skin temperature are indirect measures of autonomic nervous system function, abnormal temperature patterns measured along the spine can be a sign of autonomic nerve dysfunction. Non-invasive testing, such as surface EMG, is an up-and-coming technology that is being utilized in chiropractic to better analyze the impact subluxation has on spinal muscle function. The chiropractor may utilize these technologies in addition to traditional spinal palpation, motion palpation and orthopedic and neurological examinations. During pregnancy, weight-bearing changes occurs. This can cause an added stress to the spine. Chiropractic care during pregnancy not only can help you to stay more comfortable, but can also help to facilitate your birth. Chiropractic care during pregnancy has been shown to significantly reduce the length of time a woman labors. First time moms averaged a 24% shorter labor, while mothers who have already given birth experienced a 39% reduction in the average labor length, compared to controls (Fallon, 1991). Chiropractic adjustments during pregnancy can also reduce the likelihood of experiencing back labor (Diakow, 1991). Regular chiropractic adjustments can safely continue up until the time of birth (Penna, 1989). Trauma at birth, due to use of the supine position, rather than a gravity-assisted position, administration of an epidural that numbs a mother's urge to push, and manual extraction, can easily cause a newborn to become subluxated. These traumatic birthing methods can be the cause of spinal injury (Yashon, 1986; Towbin, 1969; Reid, 1983). Both spinal cord and brainstem injury that may occur, particularly during a traumatic birth, may often escape diagnosis (Towbin, 1969). We all know how carefully we hold our newborn babies, properly supporting their head and neck. Yet, in the birth process, we often see significant tractional force applied to the baby's head and neck. If this first subluxation is never corrected, the baby's ability to adapt to his new environment, internally and externally is hampered. This baby now becomes more susceptible to any stress or infection that comes his way. An article in The New England Journal of Medicine stated that over 20 million babies and children visit a chiropractor each year (1988). It is very likely that these numbers have already increased and will continue to grow as more families are becoming interested in allowing the body to heal on its own, through restoration of proper function. When a medication, or even a "natural" remedy is used, it merely "gets you over the hump", but does not restore normal function to the body. An antibiotic will kill the offending organism. But an antibiotic will not restore wellness to the individual. Medication can cover the symptoms - hiding the fact that the immune system is depressed. Chiropractic restores normal function, allowing the body to fight infection on it's own - to heal itself. It is commonly believed that a lack of symptoms implies that a child is well. Actually a child is ill before becoming symptomatic. Absence of symptoms does not imply wellness. An infection is opportunistic. When the child is ill, it is easy for an organism to produce an infection within his body. Ear infections (otitis media) are the most common cause of pediatric visits, and subsequent antibiotic use during the first two years of a child's life. In the U.S., the cost of the medical and surgical treatment of otitis has been estimated to be between three and four billion dollars annually. Otitis media is a complication of the common cold, sinusitis, or a sore throat, developing once normal resistance to infection has been lost. Just as mental or emotional stress impairs the immune function, physical stress on the central nervous system lowers our resistance to disease. Use of antibiotic therapy for treatment of otitis media has become quite controversial. Research shows that antibiotic treatment of otitis media is no more effective than a placebo. It also can increase the risk of reoccurrence (Cantekin, 1994). It has been shown that the type of antibiotic therapy used does not influence recovery from otitis media, or the length of time for which it was given. Those who received no antibiotics at all had improved rates of recovery (Froom et al., 1990). It has been found that 93 percent of all episodes of otitis media treated improved with chiropractic care. Seventy-five percent of the cases improved in 10 days or less, and 43 percent with only one or two adjustment (Froehle, 1996). Almost all infants develop periods of fussiness. This is often referred to as colic. It has been defined as periods of irritability, fussiness and inconsolable crying in a healthy baby (which lasts for at least 3 hours a day, at least 3 days a week). But colic is actually a default diagnosis. Pain from sources other than the gastrointestinal tract can be improperly diagnosed as colic. If a baby is crying inconsolably, it is very difficult to know if he is actually suffering from a digestive disturbance. Since many subluxations in infants are in the upper cervical area, there is a strong possibility, especially when there has been a history of birth trauma, that these babies are suffering from head and neck pain due to spinal subluxations in this area. In a study looking at babies receiving chiropractic care for colic, 94% saw improvement in their baby's behavior within 2 weeks of initiation of care. A little over half of these babies had already been unsuccessfully treated, usually by pharmacological means (Klougart et al., 1989). Another study found 91% of babies experienced a reduction in colicky behavior following as little as two chiropractic adjustments (Nilsson, 1985). Sudden Infant Death Syndrome, or SIDS, is the sudden, unexpected and unexplained death of a baby under one year of age. It is the most common cause of infant death in developed countries, and affects close to 7,000 babies each year in the United States alone. The incidence of SIDS peaks at two to four months, with 95 percent of the cases occurring prior to the time a baby is six months old. Researchers believe that many factors may combine to cause SIDS. A traumatic event occurring before and during a baby's birth may increase his risk of SIDS. Many infants autopsied have had an immature or a damaged brain stem. Spinal cord hemorrhage has often been found to be the principal lesion. This can be a very mild trauma, often escaping notice of those performing the autopsies. Research clearly points to a reduction in deaths from SIDS when a baby is placed on his side or his back to go to sleep. But, interestingly enough, it has never been established why these reductions in deaths occur with a change in sleeping position. It is no accident that the incidence of SIDS has declined with this recommendation. It is quite clear, chiropractically, that putting an infant to sleep on his side or back is a less stressed position for any spine, especially one that is already compromised. Chiropractic continues to "flourish" despite any controversy that it has endured throughout its 100-year history. Chiropractic allows patients to take advantage of a natural and drug-free method of healing. Many studies over the past decade have been published that support its effectiveness. Not only has chiropractic been shown to be effective, but also it reduces health care costs and results in satisfied health care consumers. In 1992, the America Health Policy Report, published in the Journal of American Health Policy, reported a study looking at 2,000,000 users of chiropractic care in the United States. It was concluded that "chiropractic users tend to have substantially lower health care costs," and "chiropractic care reduces the use of both physician and hospital care." In 1991, a Gallup poll showed that 90% of chiropractic patients felt their treatment was effective and over 80% were satisfied with their chiropractic care. The World Health Organization defines health as complete physical, mental and social well being - not merely the absence of disease and infirmity. Health care, opposed to disease or crisis care, for the next millennium needs to be aligned with this definition. Chiropractic, since its inception, has always been consistent with this goal. It is philosophically sound, always recognizing that true health comes from within. It is ecologically sound because it is free of the effects of drugs and surgery. It is economically sound because it helps to restore an individual's health without the need for expensive, and often inefficient and dangerous therapeutic interventions. Chiropractic, the best kept secret in health care, is truly an idea whose time has come. DR. ROBERT VAN METTER is a family chiropractor, a graduate of Sherman College of Chiropractic. Bob is a member of the International Chiropractor's Association, and a Chiropractic Career Advisor. He is an avid touring cyclist. Bob lives with his wife and three daughters in the Pocono Mountain region of Pennsylvania. DEB DONOVAN is the Director of ParentsPlace.com. She worked for more than a decade with families during the childbearing year, as both doula and board certified lactation consultant. Deb began contributing to www.parentsplace.com in 1996 with her column, "Ask the lactation Consultant". Deb, her husband, and their three children have enjoyed the health benefits of being under chiropractic care for 13 years.